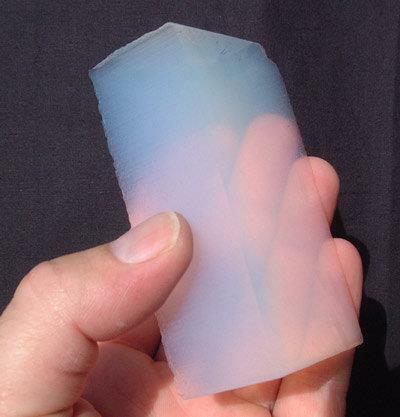 Aerogel has the lowest bulk density of any known porous solid. It is made from a gel in which the liquid portion has been replaced by gas! It is comprised of the same substances used to form glass (silicon dioxide and sand), but the reason aerogel is a thousand times lighter is because it is 99.8% air!